My dog’s name is Meatball so I get to celebrate every day, but for the rest of you, this Sunday is your chance to delight in the joy of one of the world’s simplest of pleasures. Meatball and I will be enjoying his namesake in the form of Chef J’s Swedish Meatballs and we think you should, too! I’ll let Chef J wax poetic about balls of meat now. Whether you prefer yours on top of spaghetti, all covered with cheese (perhaps you are just looking to replace one that might have been lost when somebody sneezed); meatballs are one of those perfect foods. It’s pretty clear from the name that they are balls of meat. IT’S A BALL OF MEAT!!! What simple brilliance! What pure elegance! This spherical culinary wonder deserves to be celebrated! So, in keeping with tradition, we will hold these greasy balls on high this Ninth of March! 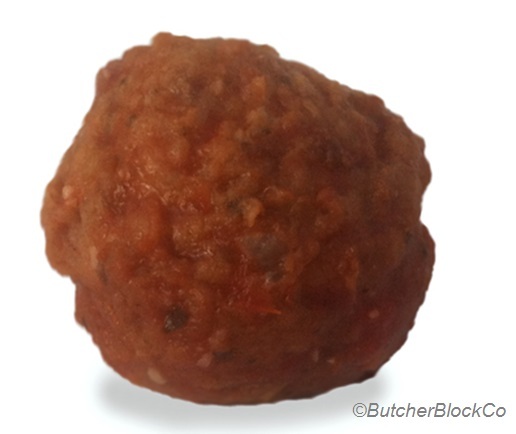 That’s right: March 9th is National Meatball Day! Meatballs can be added to almost any dish: put them in a between two pieces of toasted, soft bread with thinly sliced veggies for a delicious sandwich, pile them on top of your pasta and load it up with cheese, or just serve them up with gobs of ketchup and gravy! However you eat them, meatballs are great. In honor of the woman who introduced these delicious little rounds into my life, I will be enjoying mine with a big spoonful of lingonberry preserves. My Farmor (Swedish for “father’s mother;” the same Farmor who gave us Peanut Blossoms) used to make these when I was a kid and I still love them to this day! These little balls of meat are called Köttbullar (Swedish for “little balls of meat”). They are amazing! Dip them in ketchup, or lingonberry preserves, or in a nice tasty gravy like Farmor used to make. They are fast and simple to make, and they can be frozen raw or after they have been cooked if you want to save some for later. Combine all ingredients; form into 1” balls. Heat a large cast iron skillet on medium. Coat pan with butter or oil and add meatballs. Sweat the onions in a large pan (use the one you cooked the meatballs in!) until they begin to turn translucent. Add garlic and let it start to brown. Deglaze with wine and add the herbs. Reduce by ½ and add tomato and bring to a simmer.